Thailand is one the the most amazing countries I’ve visited. I fell in love with it so much that after one of my visits, I returned to the UK, quit my job and moved there! If moving there isn’t an option, then I’d definitely recommend visiting and spending some time exploring the country. It’s such a friendly country and there are so many places to visit and things to see. There are so many different accommodation options. From a guesthouse or beach bungalow to a hotel or villa in Thailand there is something for every requirement and budget. Once you have your accommodation sorted, then why not try some of my ‘must do things’ while you’re there. Thailand has over 5,000 miles of coastline to explore and countless islands to visit and photograph. There are so many islands to choose from. Ko Samet is a peaceful haven away from the hustle and bustle of Bangkok. Though the majority of the island is a national park and the perfect place to see wildlife. Ko Samui is one of the more Westernised islands and the second largest island. It’s very popular with tourists so expect a lively, buzzing place with lots going on. My favourite island is Koh Tao. The quickest way to get there is by flying to Koh Samui and then getting a ferry to Koh Tao. You can also opt for the cheaper option of catching a ferry from various parts of the main land ( we left and returned via Chumphon), it’s takes around two hours and the water can be very choppy. 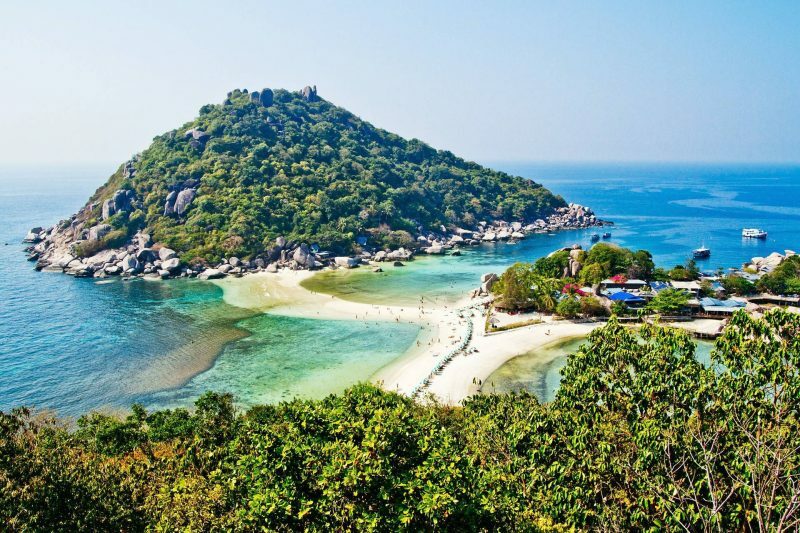 Albeit the bad press in recent years, Koh Tao is a stunning place to visit with beautiful views and ideal base for diving and snorkelling. It’s renowned for it’s water sports, marine life and a pretty impressive nightlife. Eat like a local while you’re in Thailand. 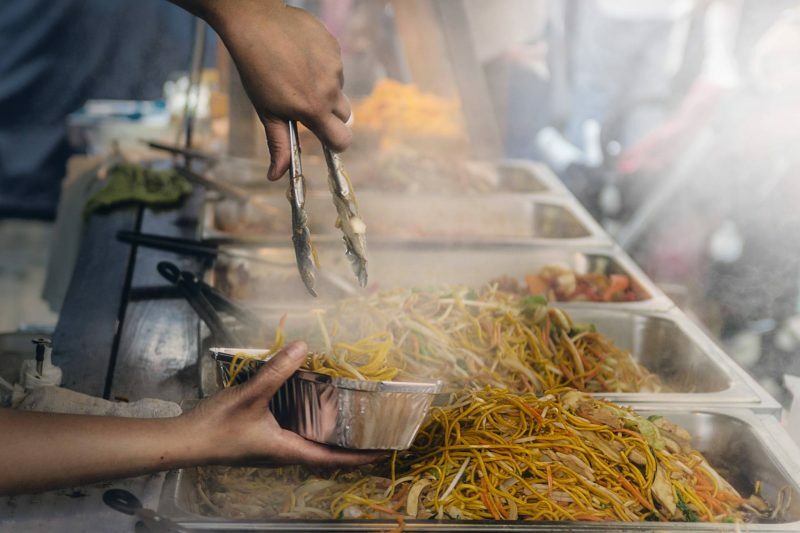 Be adventurous and try some of the many street food options. In the larger cities there are food stalls and barrows on every corner with the most delicious smells wafting down the streets. While I was out there I tried some amazing food and some rather strange delicacies like crickets, grasshoppers and snake! The elephant is Thailand’s national symbol and being able to get close to them is such an amazing experience. 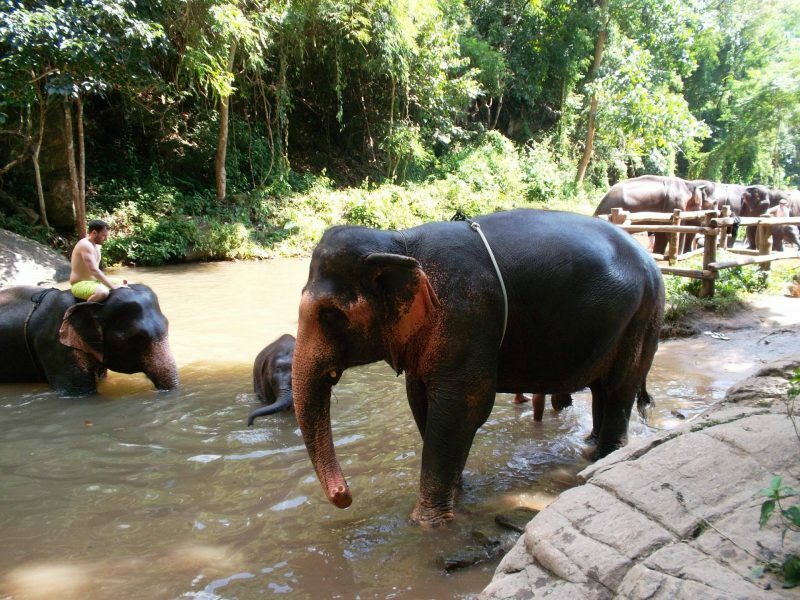 There are so many sanctuary’s where you can see elephants and even go for a ride. Make sure you do a little research first though to check that it’s an ethically run sanctuary as sadly there are many that aren’t. Visitors are encouraged to join in with local celebrations. 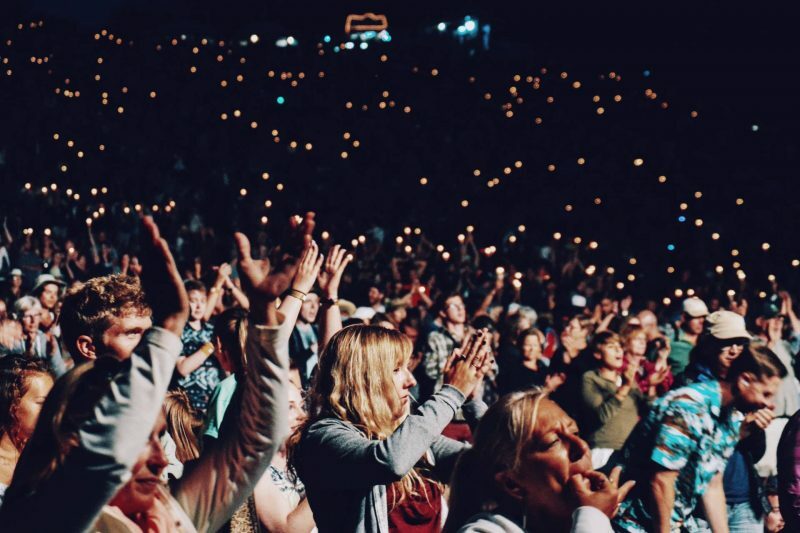 Taking part in festivals and events gives visitors an insight into local customs and traditions in difference areas of Thailand. If you can, visit during Chaing Mai Flower Festival in February, Songkran (Thai New Year) Water Festival in April where water is sprinkled, squirted and poured ( think buckets and water pistols) to wash away bad luck and sins or Loy Krathong Festival in November (water basket festival where people gather around water to pay their respects to the goddess of water by releasing beautiful baskets and rafts onto the water. 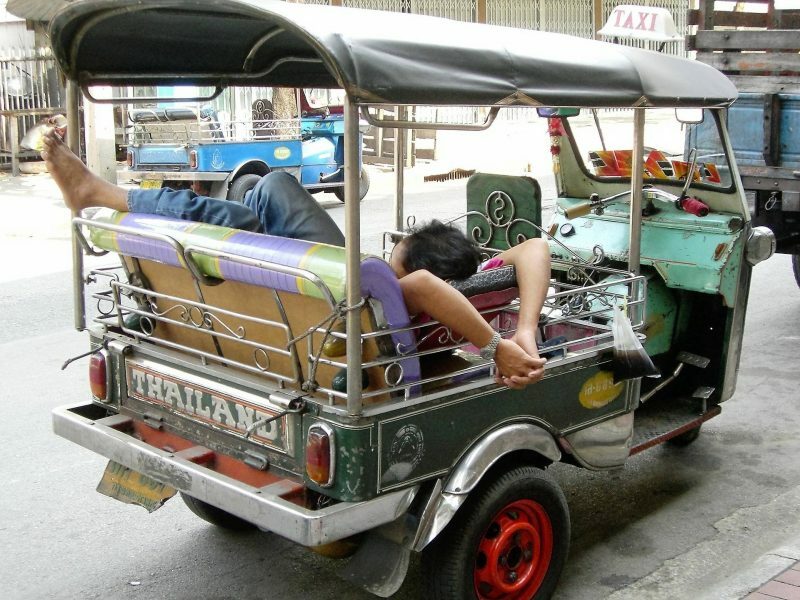 Have you really been to Thailand is you haven’t ridden in a Tuk Tuk!? Tuk-tuks or ‘sam lor’ are a cheap and colourful way of getting around Thailand. They originally used to be rickshaws however you’ll usually find them with a bike or scooter attached now. Just don’t lean when they do round the corner! There are night markets in most areas of Thailand but the Chiang Mai night bazaar is definately worth a visit. You’ll come across everything you can possibly imagine, from fake design bags to baby turtles. Bartering over the price is part of the fun! I don’t think you’ve really experienced the Thai nightlife if you haven’t been to a Full Moon party! Held on the beach on most of the islands at every full moon, they’re totally wild. It’s a full night of drinking, meeting new friends and crazy fire shows. Just remember to stay safe, keep a close eye on your drinks and stay away from the water if you’ve had too much to drink. Thailand is renowed for it’s beautiful beaches. One of my favourites is Khao Takiab, just outside Hua Hin. You can stroll along the peaceful beach and then stop for lunch at one of the restaurants. If you’re feeling adventurous, try one of the water sports on offer. Thailand is a Buddhist country and there are thousands of temples dotted around the country that play an active part in everyday life. The Thai people attend the temples to pray to Buddha or to speak with the monks – simlarly as to what we’d do at a church in the UK. The temples are also tourist magnets and usually high on travel itinerys with quite a few that you really should’t miss. The Temple of the Emerald Buddha (Wat Phra Si Rattana Satsadaram) is located within the grounds of the Grand Palace in Bangkok and probably the most sacred Buddhist temples in Thailand.The vast Buddha figure inside is made of jade, but the “emerald” refers to the green color and is exquisite. 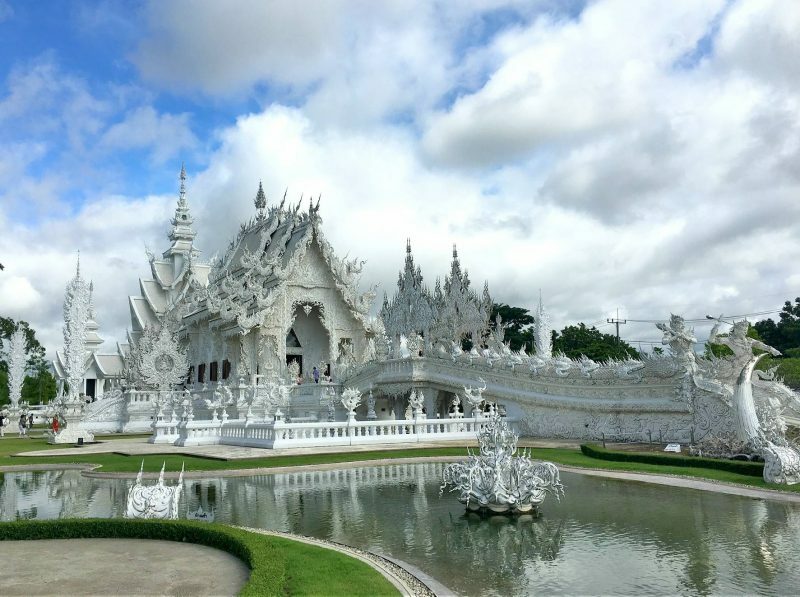 Wat Rong Khun or ‘The White Temple’ in Chiang Rai is stunning. It’s white in colour but has pieces of glass all over it which sparkle in the sun. Have you been to Thailand? What was your favourite thing to do?